Winkler Knives have been making tactical knives for elite special operations units of the United States military for decades. These blades have seen use all around the world, from deserts to jungle and everything in between. 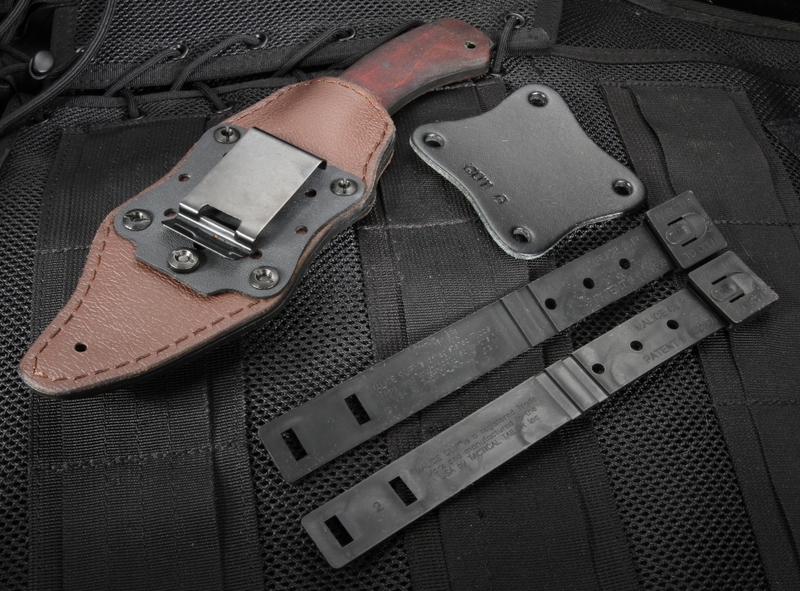 Not only are they trusted for the tactical application by the military, but also as the go-to knife for law enforcement and first responders. 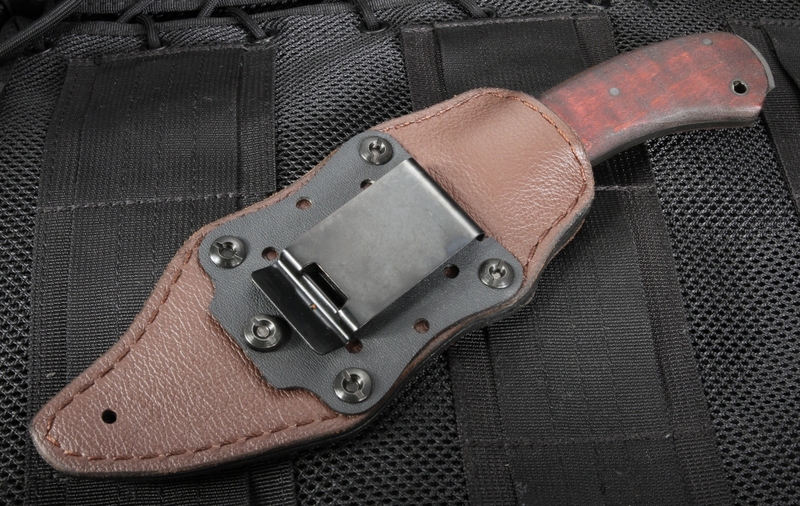 The Crusher holds its own when it comes to a knife comfortable in both worlds. 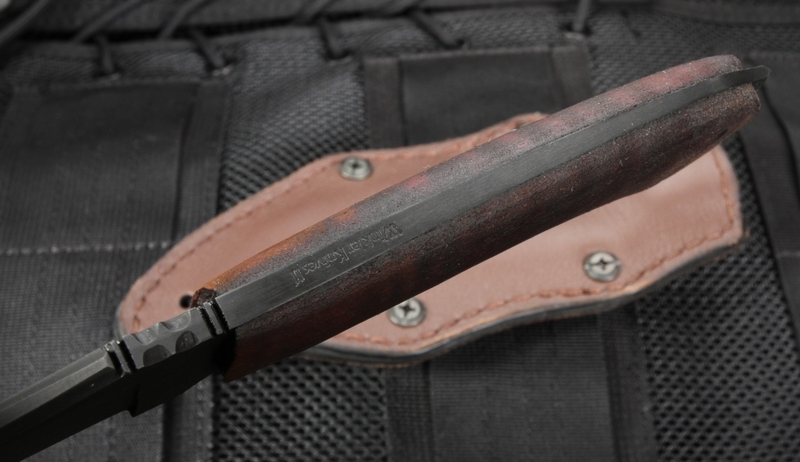 It features the elegance of fighting knives over two centuries old, along with the application of what is needed in modern warfare. 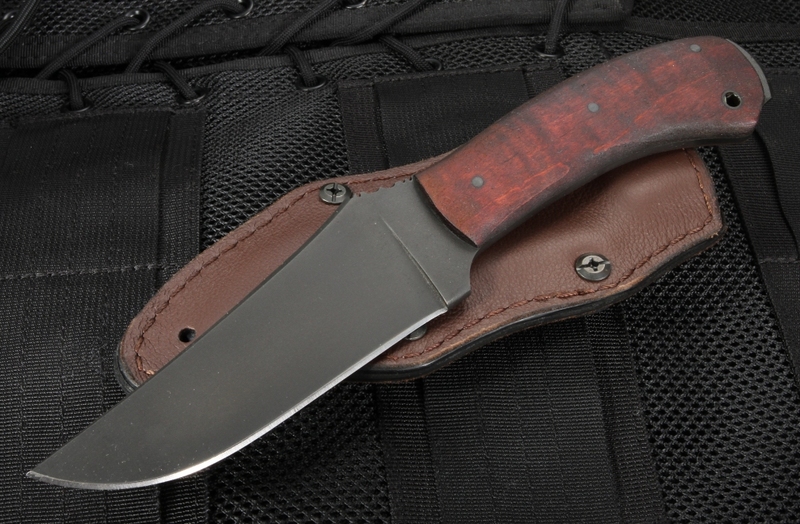 The Winkler Crusher belt knife is 9.5" in overall length and features a drop point blade. It is made from 80CrV2 stainless tool steel stock with a Rockwell hardness of 59-60. This allows for the 3/16" thick stock to be sharpened down to a razor's edge which will last cut after cut, regardless of whatever punishment the world dishes out. Non-reflective black oxide Caswell finish gives it a tactical look as well as adding another layer of protection against corrosion. Thumb index file work on the back of the blade provides extra comfort and traction with detailed cutting work and power cuts alike. The full tapered tang is encased by a beautiful maple handle, carved to conform to the natural curves and grip of your palm. The tang extends beyond the handle, creating a very powerful glass breaker feature, as well as its namesake--the Crusher. 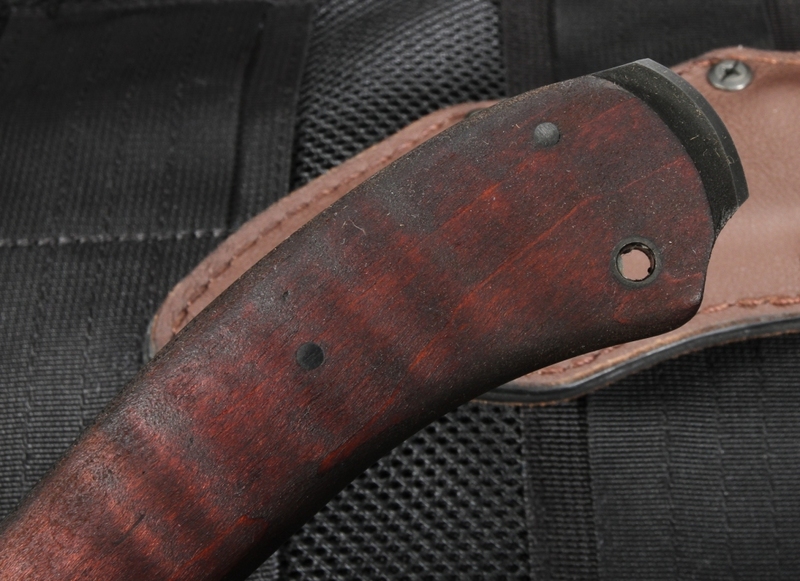 This fixed blade comes with a maple handle and brown leather sheath, which easily clips on to any belt or tactical gear, holding your knife in place with confidence until you are ready to deploy it. Winkler Knives are made in the USA. As an authorized dealer of Winkler Knives, Knifeart.com offers fast, free shipping in the US. We are so sure you will love your curated knife that we also provide a satisfaction guarantee. If you don't like your purchase for any reason, simply return it for a full refund and we will waive the restocking fees.